Venture to the Tom McCall Nature Preserve atop Rowena Crest to see a stunning landscape of wildflowers. There’s only a short window to view the blossoms and if you have never seen them, I urge you to drop everything and head into the Hood River Valley with your bike, hiking shoes or car. It’s well worth your time. The Gorge in April is spectacular. When I ride my bike from my Hood River home up the steep Highline Road and then continue to a flatter Eastside Road, I thread through the pear, apple and cherry blossoms and feel like a moving dot in a pointillist painting. Mt. Hood is still white from our snowy winter and the white and pink blossoms carpet the valley floor. If you could smell the painting, it would have a subtle sweetness seeping from the flowers. Amidst the warm breeze, I often look at Mt. Hood and thank her for an incredible winter. She still offers spring skiing. If you start early, the granular corn snow and warm weather makes a memorable outing. Last Sunday, the Mt. Hood Meadows Ski Resort allowed skiers with avalanche pieps to skin up from the Cascade lift and make endless turns down Super Bowl. It would be a true Oregon spring day if the skiers then spent the afternoon mountain biking the 10-mile singletrack Whoopdee Trail among the yellow Arrowleaf balsamroot flowers and firm dirt. For the young and old, venture to the Tom McCall Nature Preserve atop Rowena Crest for a wildflower scavenger hunt. My friend Lisa and I just went there with kids in tow and Russ Jolley’s wildflower field guide in hand. To keep the three children moving down the trail, she had them search for wildflowers and identify them using Jolley’s book. They grow in all different colors and sizes. 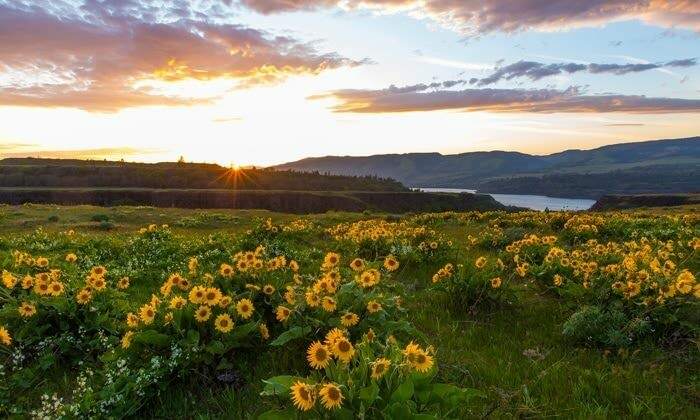 West of Rowena, the Memaloose Hills is a rewarding wildflower hike, an unmarked trail that begins at Memaloose Viewpoint and climbs alongside balsamroot, lupine and paintbrush. The moderate Mosier Plateau Trail meanders past fields of wildflowers as well as Mosier Creek and Mosier Creek Falls before arriving at its stunning namesake plateau. Nearby, the Mosier Twin Tunnels Trail is part of a car-free segment of the Historic Columbia River Highway, ideal for flower-gawking on a bicycle or by foot. 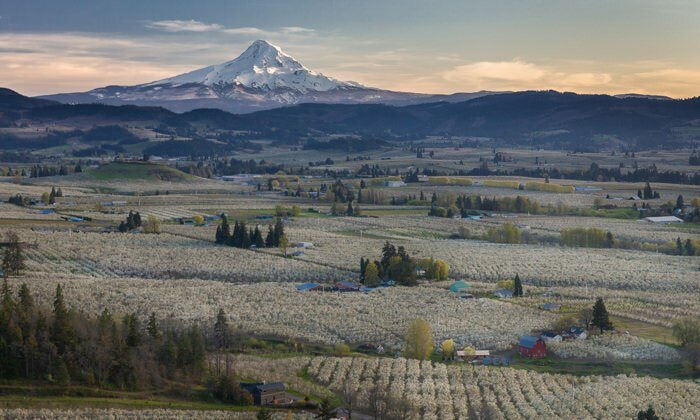 The Hood River valley’s cherry, apple and pear trees come alive with pink and white flowers in April. 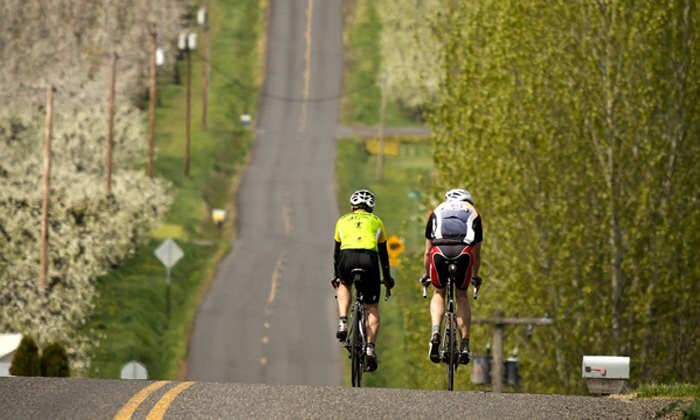 Get a glimpse of the spring blossoms on the 35-mile Hood River County Fruit Loop. 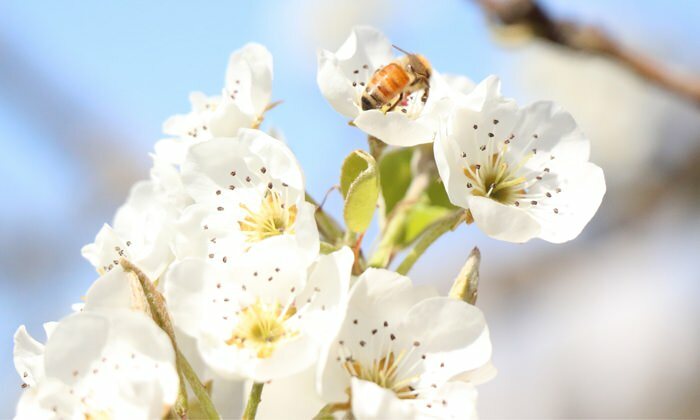 The area celebrates the season with the annual Hood River Valley Blossom Time, which includes special farm and culinary events like the Hood River Hard-Pressed Cider Fest.